The Lodge offers bush game drives in Kruger National Park and organized game trails for independent travellers and families. For young and old alike, facilities include a unique Tree House sleepout, and a variety of sporting facilities. Leisure and sporting activities at the Protea Hotel Kruger Gate include miniature golf, tennis court, volleyball, table tennis and children's playground, or just relaxing around the refreshing swimming pool. Conference facilities are also available. 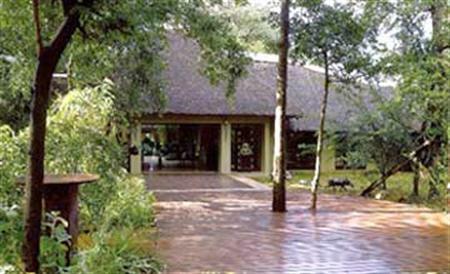 An ideal place to stay if you're looking to be close to Kruger Park and enjoying the creature comforts of a top 4* hotel. 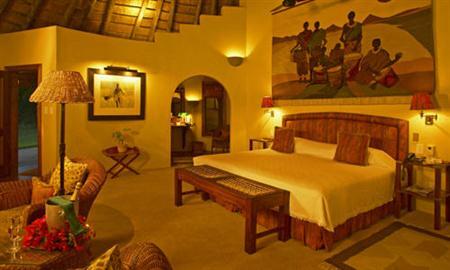 Thes eare really very nice 4* rooms, all are are en-suite and tastefully decorated and feature African artwork on the walls. Rooms have television, mini-bar fridge, personal tea and coffee making facilities and a spacious working area for the conference delegate or business traveller. Rooms also have a small terrace or balcony. A buffet-style breakfast is served in the restaurant, as is lunch and dinner. 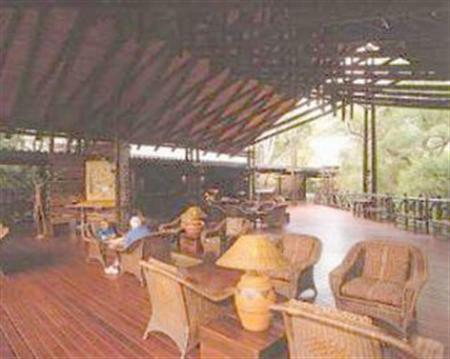 The Protea Hotels Kruger Gate's new pool deck bar overlooks the Sabie River, perfect for game viewing - guests can sit back and relax and absorb the amazing sounds of nature while sipping on a refreshing cocktail. As the dinner drum sounds, one of the most memorable moments of your visit will be dining under the stars. The lapa offers just this experience, along with true African cuisine including game and bubbling potjies of fragrant delicacies. A huge lobby with a very nice African theme that makes the guest feel immediately welcome. Guests walk past the curio shop on to a wood decking lobby with the reception desk to the right, next to a travel and tours shop. These is seating on the deck for guests and the decking area leads off to the lodge accommodation and restaurant.